This season you can discover Fendi&apos;s masterful sense of refinement on their latest accessories line. Known for their trendsetting and elegant designs, you can do no wrong with a signature Fendi piece. 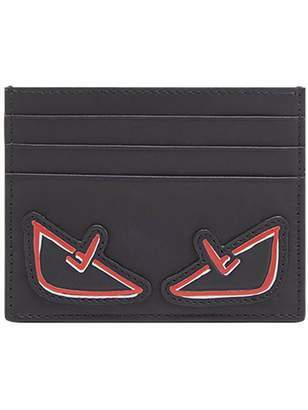 This black calf leather Bag Bugs card holder from Fendi features six card slots, a back embossed logo stamp, an internal logo patch and a red lining.